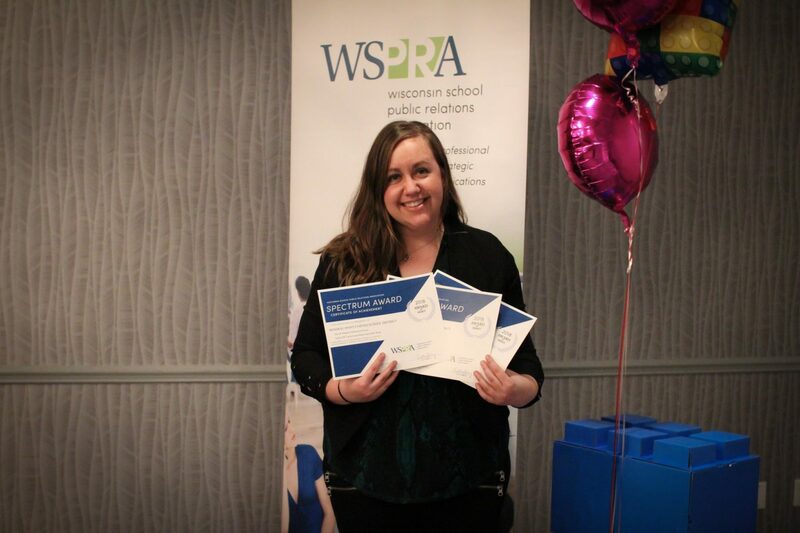 The Mineral Point Unified School District was honored by the Wisconsin School Public Relations Association (WSPRA) with three awards for its work in school communications during the 2017-18 school year. #PointerNation has now earned 10 WSPRA Awards since the fall of 2015. Spectrum Awards honor high-quality public relations efforts produced by, or on behalf of, Wisconsin school districts. This year, there were a record number of entries submitted for critique. WSPRA’s Spectrum Awards are judged by other state chapters on a four-point scale in four areas: goals and objectives, research and planning, execution, and evaluation and results.